Sometimes when you place students inside of something they are able to grow outside of it. The Healthy Hexagon helps do just that. 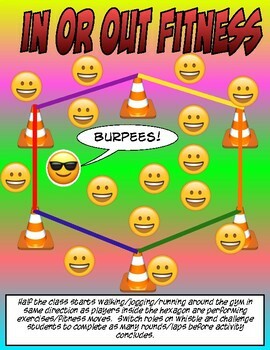 Grab some cones, some bungees/rope and introduce shapes, fitness, and sportsmanship! This activity guide comes with a step by step guide on how to create them, and also 7 different activities!